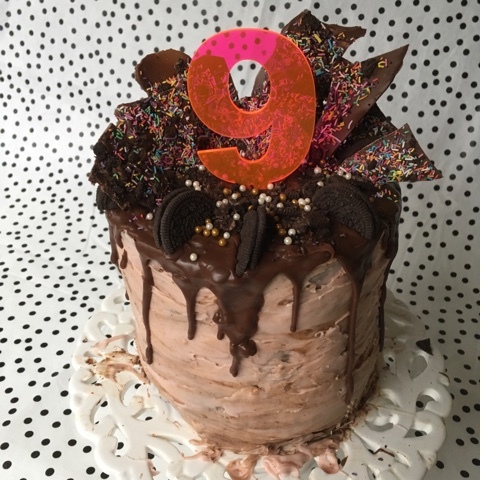 My littlest turned nine on Monday. NINE! How did that happen? 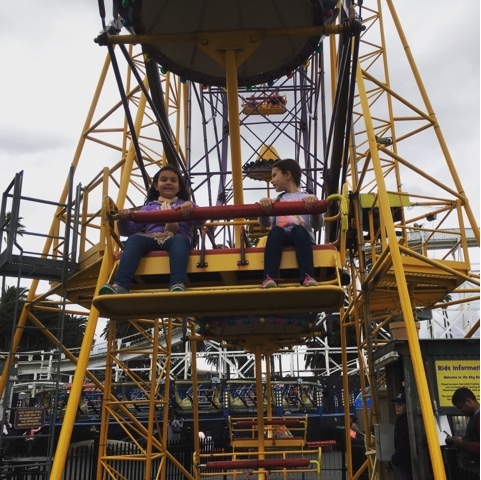 Her big birthday weekend commenced on Sunday with a trip to Luna Park in Melbourne. 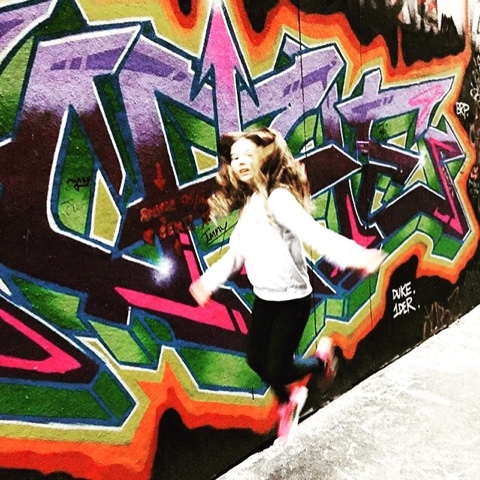 Her big sister checking out the street art in Melbourne..
On Monday we had a family day, with a beautiful dinner with her grandpa. 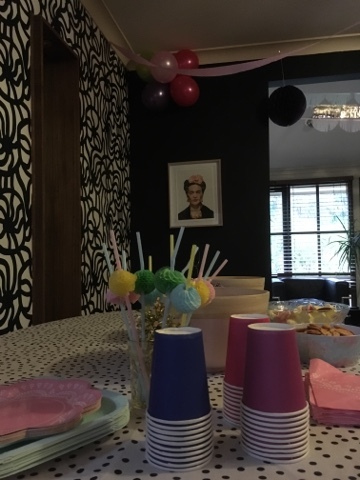 On Tuesday she had a Sleepover party with a couple of her besties. 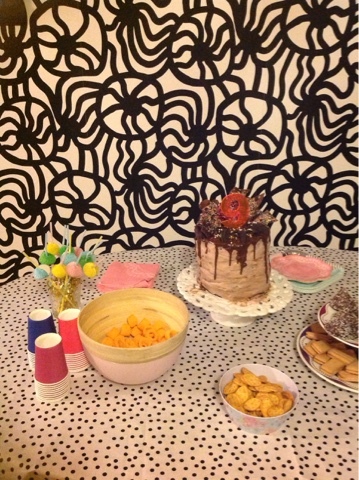 I made a chocolate mousse layer cake with Chocolate drip icing and Oreo sprinkle bark.